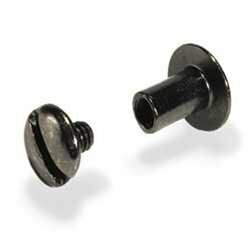 Chicago screws, also known as binding posts, bookbinding screws or interscrews are a simple alternative for binding your documents. 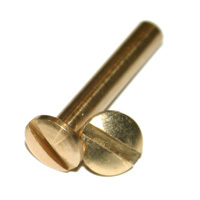 Using one or two holes can replace binders and save precious space when archiving your documents. 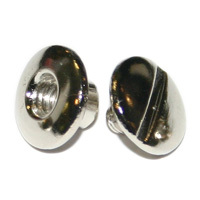 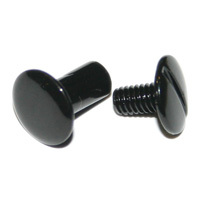 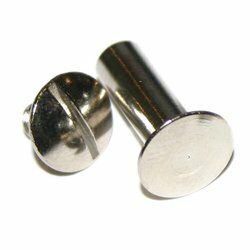 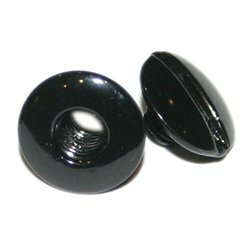 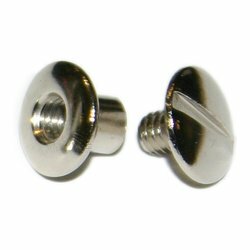 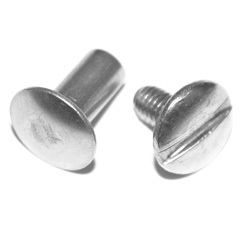 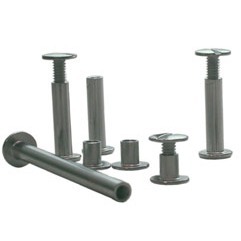 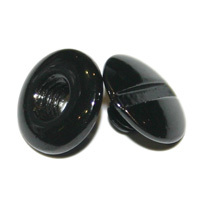 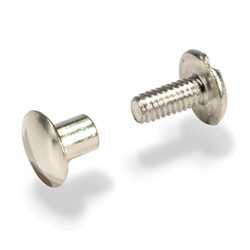 Place a chicago screw in the corner of your marketing material for a smart, economical and elegant finish. 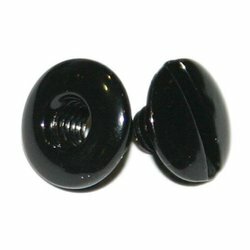 Great for sample swatches so your customers can fan out the many choices available. 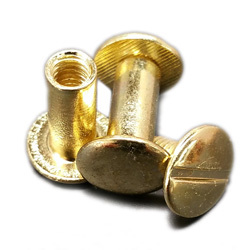 We supply Brass, Nickel, Alimunium, Anodised (Coloured), and Plastic screw and post combinations.